For individual student use, group review, or class activities, these colorful flip charts use pictures, text descriptions, and a writable/erasable surface to lead students through key math concepts. Aligned to grade-specific national standards, these sturdy chart sets present comprehensive overviews of various math topics. Side one of each chart uses graphics and text as an overview of mathematic concepts, while side two features exercises, vocabulary review, and more designed to be written on with a dry-erase marker. 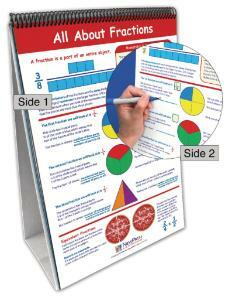 Each chart set features 10 double-sided, laminated charts on a sturdy easel. An activity guide is also included with copymasters of each chart, review questions, suggested projects, and more. Size of each: 12" x 18". 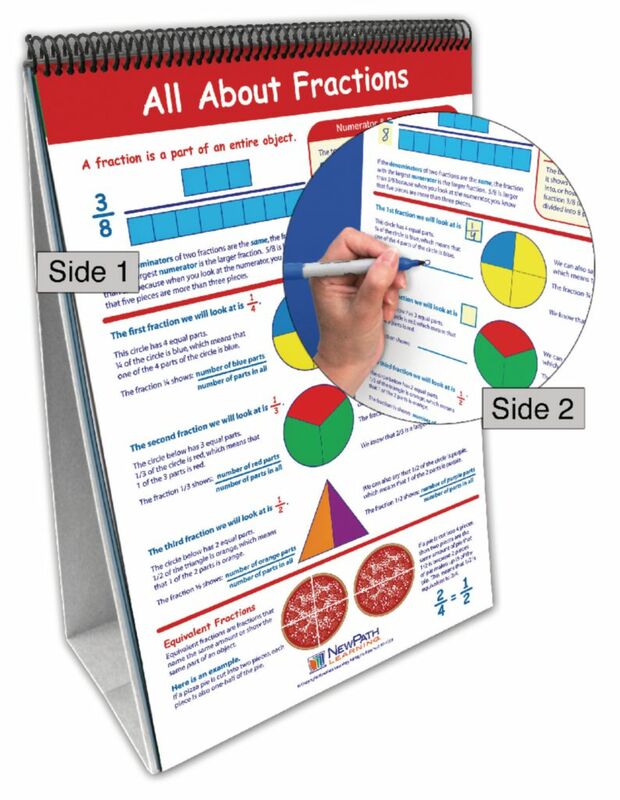 A comprehensive, interactive overview of all 2nd grade math standards, this sest of 10 laminated flip charts includes the titles Addition Facts with Two Digit Numbers; Subtraction Facts with Two Digit Numbers; Hundred Counting Chart; Place Value to 100; Fractions; Telling Time; Length, Capacity, Weight, and Temperature; Data and Graphs; Ordinals; and Symmetry.